Only Day 5 in to this 30-day series and am giving serious thought to extending to another month. The more I ‘learn’ about Thomas Jefferson’s wine experiences, the less I feel l know. Jefferson on wine is an infinite subject and it’s easy to understand how authors like John Hailman (Jefferson on Wine) and James Gabler (Passions: The Wines and Travels of Thomas Jefferson.) spent many years conducting exhaustive research in to this subject. Since October is Virginia Wine Month and I already have ’31 Days of Virginia Wine’ planned, I won’t be able to extend the Jefferson series in to October, but may bring it back for November. The emails I’ve received from those following this series – regular readers and new readers who found this site as a result of this Jefferson series – has been encouraging, and I thank you. 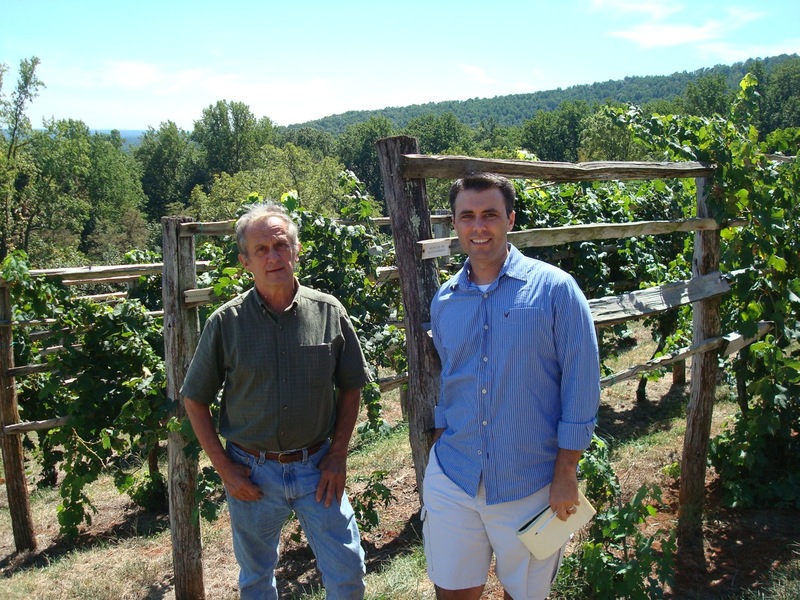 This weekend I had the chance to return to Jefferson’s Monticello to tour the vineyards with Gabriele Rausse. Gabriele’s official title at Monticello is, Associate Director of Gardens & Grounds, but he is actually one of the early pioneers of the Virginia wine industry and winemaker at Monticello. 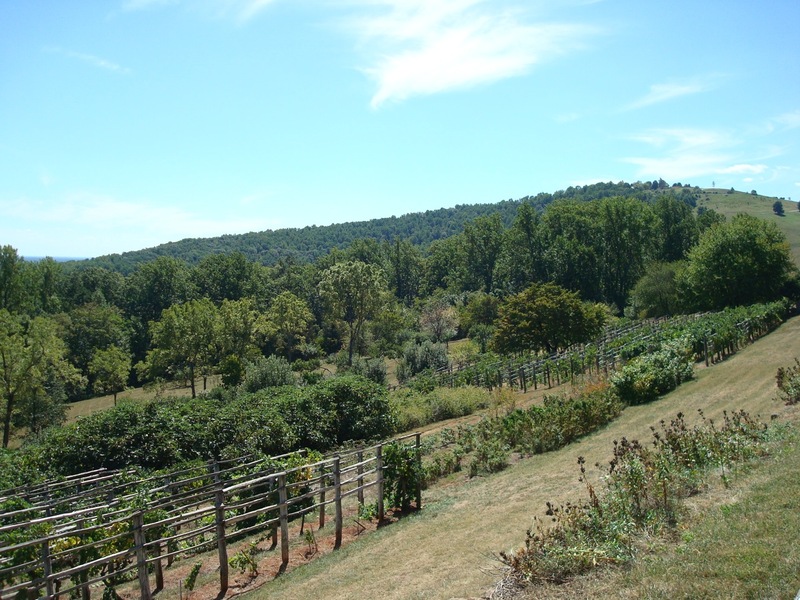 Today’s post provides a pictorial of the vineyards and wine cellar at Monticello – tomorrow I will follow up with the details and history of Jefferson’s attempts to grow grapes at Monticello. 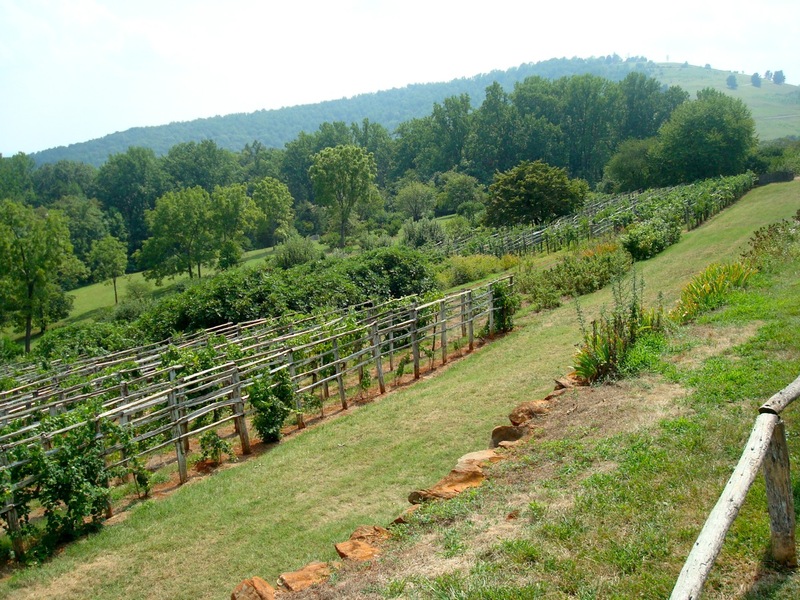 View of Vineyards on the grounds at Monticello. 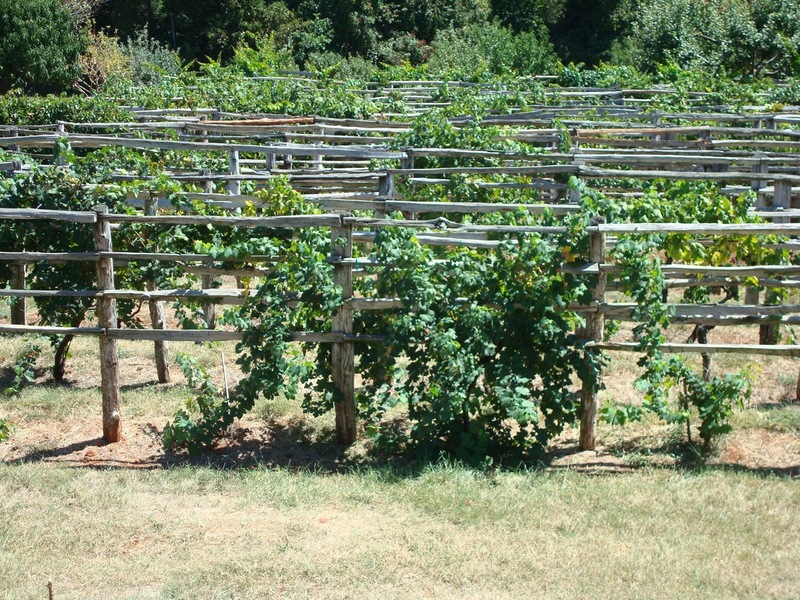 Same location that Jefferson planted vineyards. Replanted in 1984 and 1991. First vintage 1999. 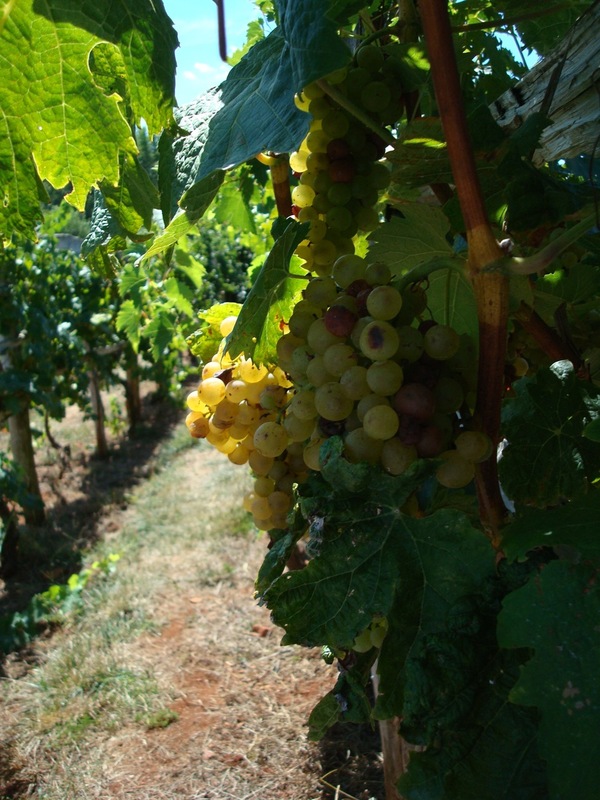 Grapes in the Monticello vineyards are scheduled to be harvested some time during week of September 6th. 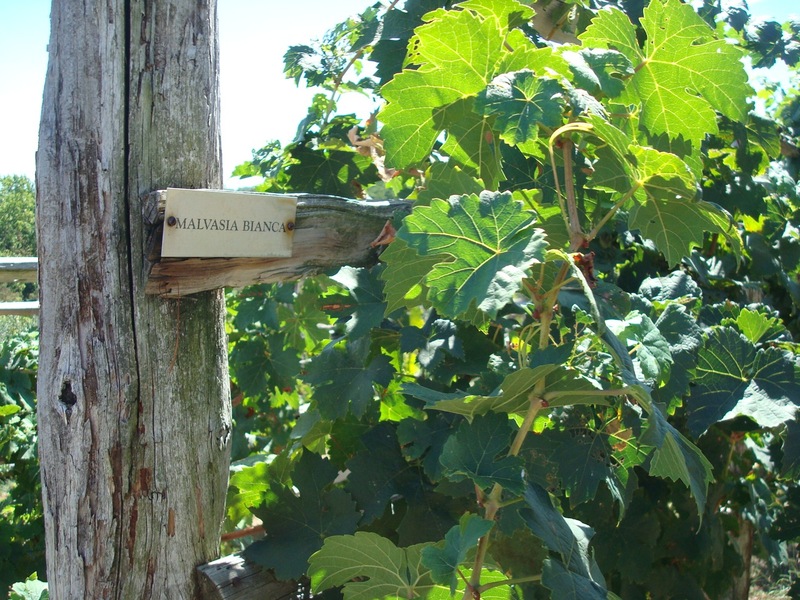 In good years, Rausse has made 1,000 bottles of wine from these Monticello grapes. Gabriele Rausse and me in vineyards at Monticello. 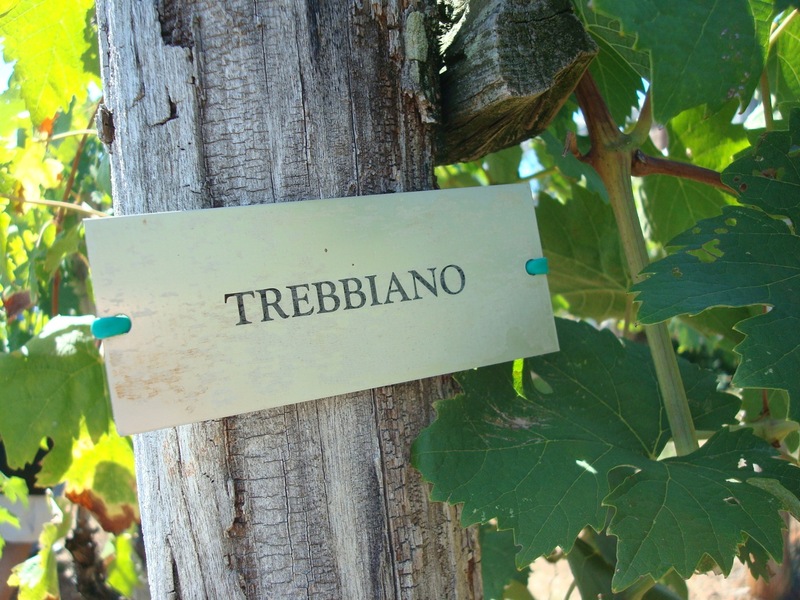 Row of Trebbiano grapes - the second most widely planted grape in the world. 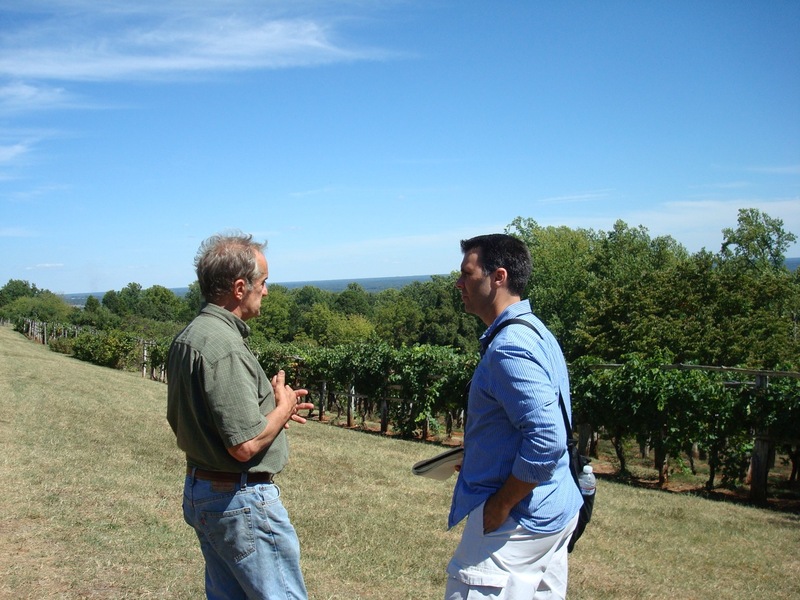 Chatting with Gabriele Rausse with Monticello vineyards in the background. 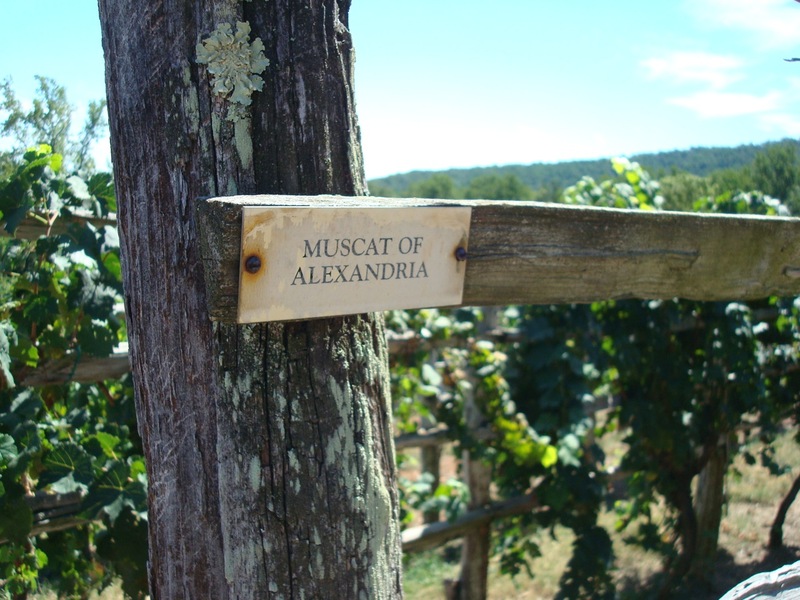 Row of Muscat of Alexander. 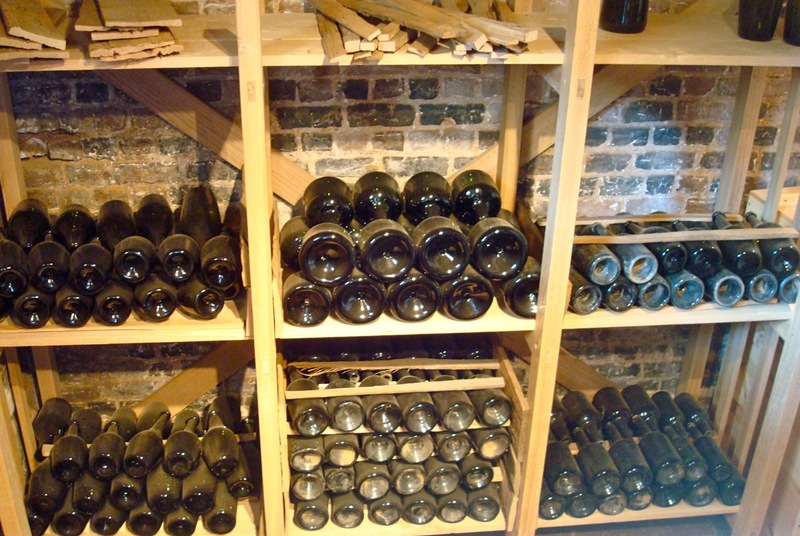 Wine rack with era correct bottles as part of recent renovation of wine cellar at Monticello. 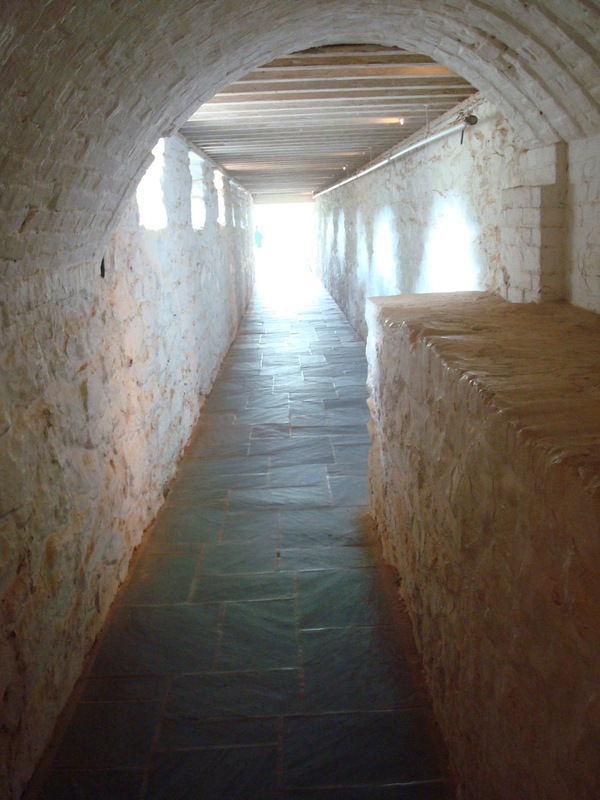 Architectural and archeological investigation have not yielded specific evidence of how wine bottles were stored in Jefferson’s cellar at Monticello. Hallway outside of wine cellar leading to South. 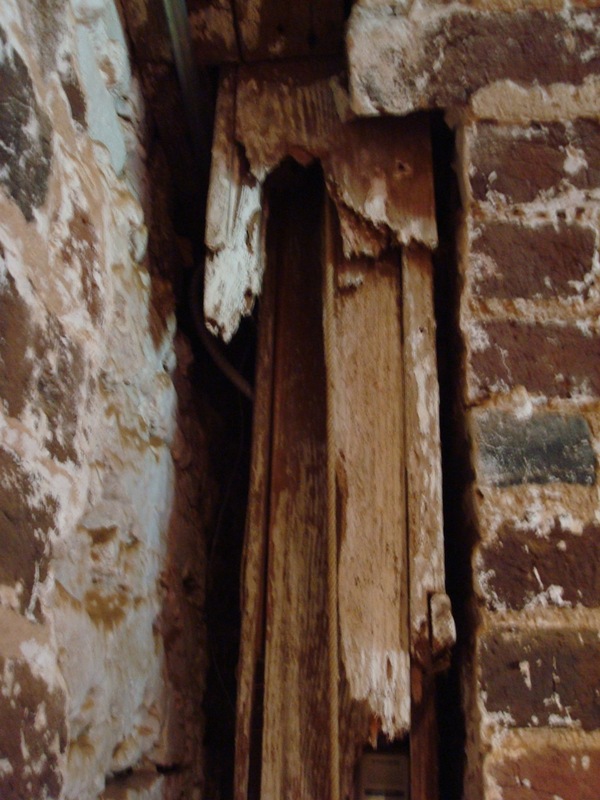 What’s left of Monticello’s original dumbwaiter (original wood). The dumbwaiter system at Monticello has (had) four weight-and-pulley-driven wooden trolleys that rise through the ceiling into the sides of the Dining Room mantelpiece. 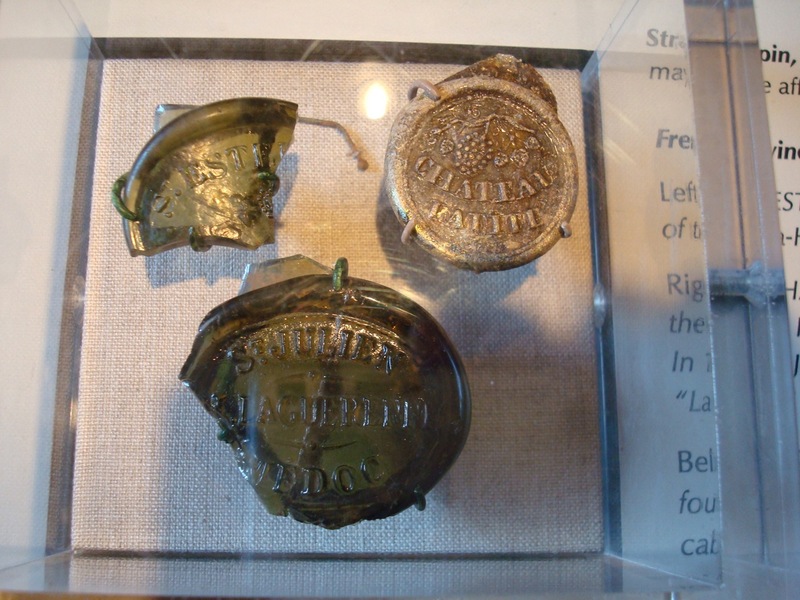 French wine bottle seals found on the grounds or during excavations. Left: St. Este(phe). Right: Chateau Lafite, 1784 vintage. Bottom: St. Julien, 1788 vintage. 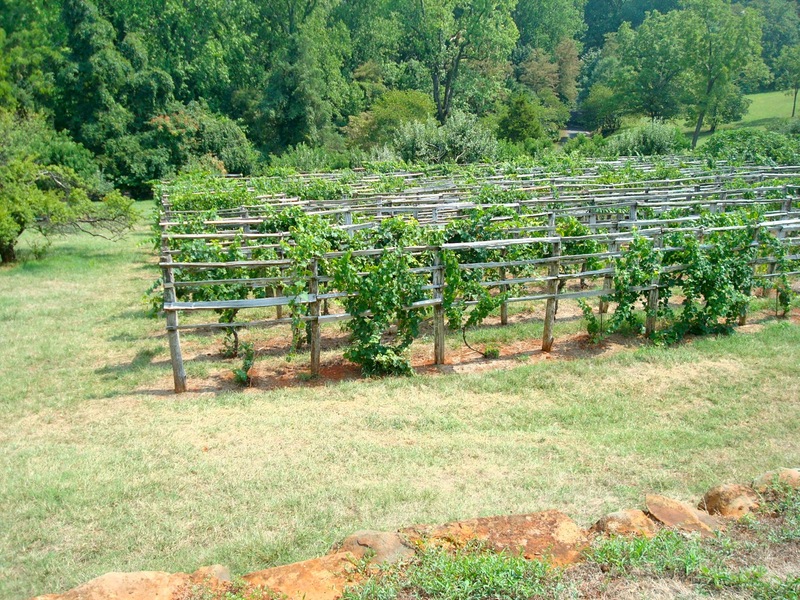 Please check back tomorrow for detailed history of Jefferson’s attempts at growing grapes at Monticello. Nice job on this series, friend. This is a topic that I have researched and studied some too, so I do find it interesting and have enjoyed your efforts here. Nice photo work as well – keep the good posts coming! Another thing that is interesting about Jefferson is the amount of money he dropped on wine during his term as president —- it was ridiculous; he must have had social gathering everyday! Hey man, thanks for stopping to comment! Appreciate the feedback. 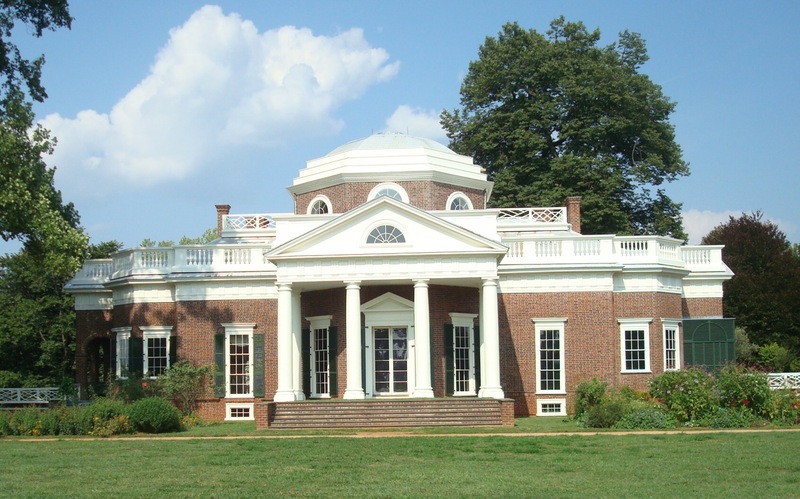 Jefferson’s White House cellar from 1801 to 1809 was quite amazing! I liked the company as much as he liked the wine. Cheers! Catching up on the series. Nice job. 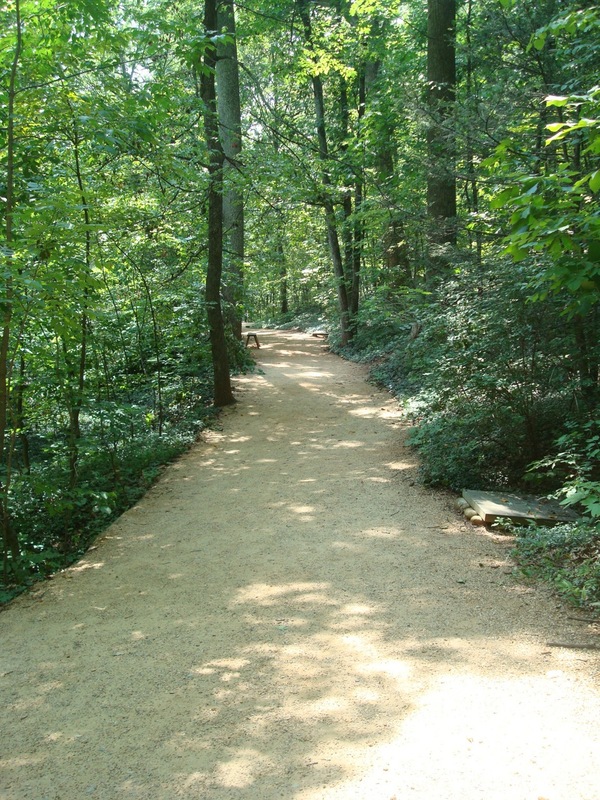 Hi Annette: Thank you for stopping by to comment – I appreciate the feedback. This has been an educational series for me personally… the more I learn the more I realize I don’t know about American history (should have paid more attention in those history classes).